Staggering amounts of the UK population are scared of spiders. Through old wives tales, stories and films that vilify them- especially the giant, non-existent ones- we have found ourselves in eternal battle with a very small and specific group of insects. Why? It’s not our place to ask that now. We can only help you remove them without removing your conscience. If you know a friend who reaches for the nearest nuke/flamethrower at the sight of an arachnid, be sure to let them know of the more humane ways to get rid of them. In a perfect world we’d be celebrating spiders – joining forces with them, even, to get rid of all the flies. We all know they’re the real villains. If you truly care about doing this humanely, be careful with those vacuum cleaners. 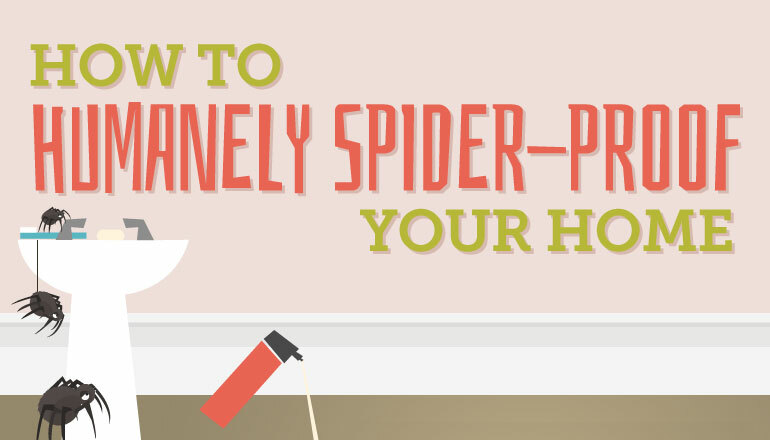 Vacuuming a spider is only humane if that spider is a thrill-seeker with very strong limbs. And spiders aren’t capable of thrill-seeking tendencies. Want the static version? Just scroll down, below the video. Which steps do you think are the most effective? Do you have a better way? A worse way? Let us know in the comments.